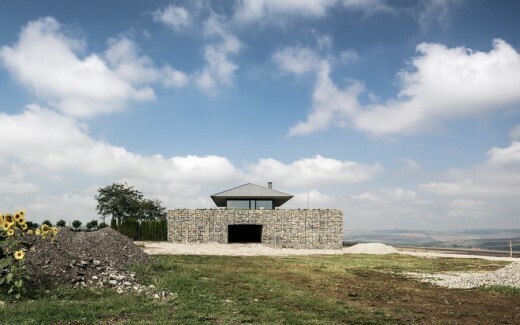 The Observation House is located on a hill in the highest corner of a village amid an agricultural area in Northeast Bulgaria. 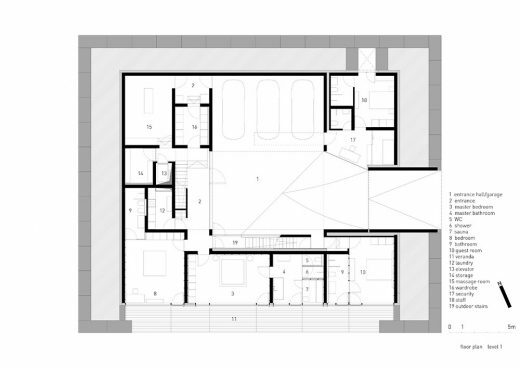 In order to strengthen them, a part of the program is located in the seemingly blind bastion-like volume and the living area is elevated high on it. 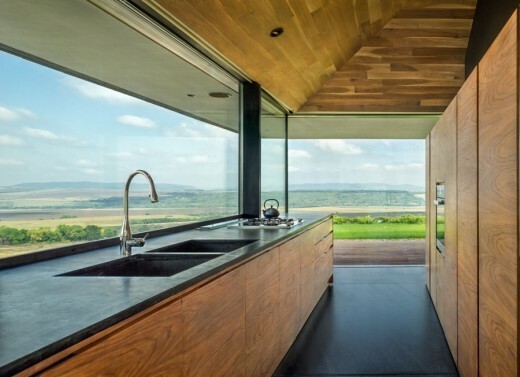 This brings view completion up to 360 degree and privacy in the fully opened space above. 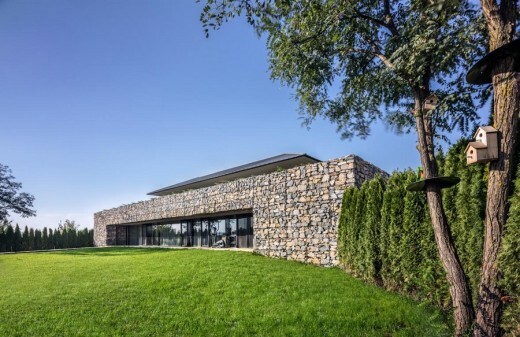 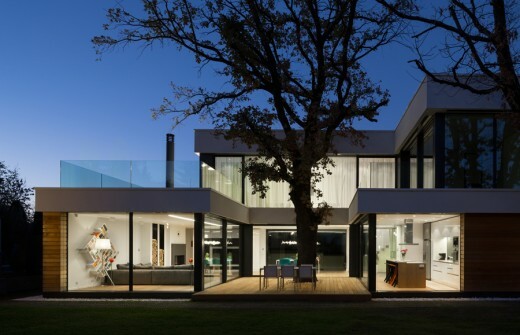 The pitched roof connects geometrically the upper volume with the base and adds complexity in the interior space while the oversized eaves connect it to the little meadow around and exaggerate the hovering effect of the slim metal structure. 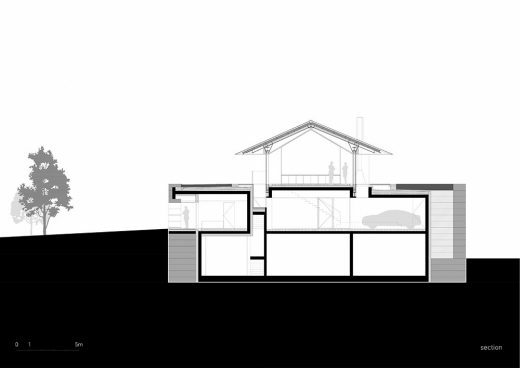 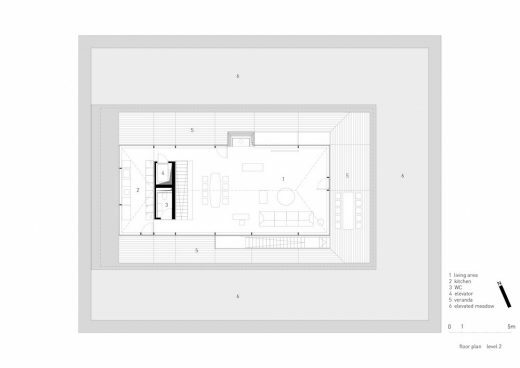 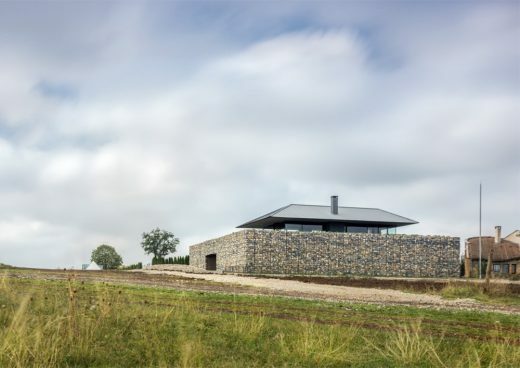 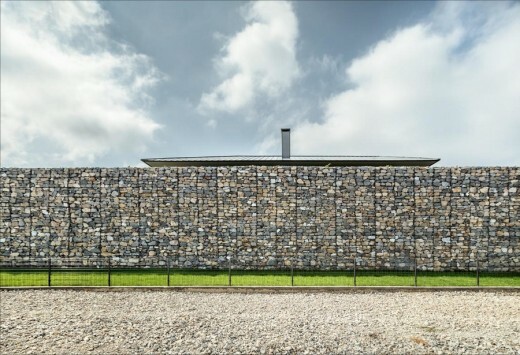 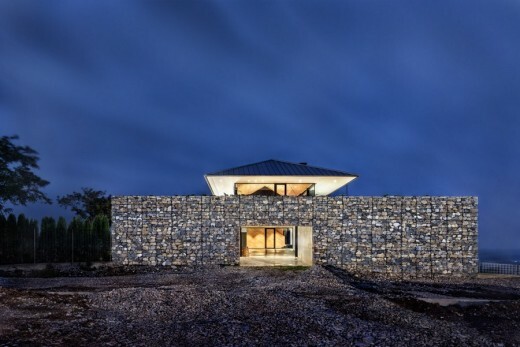 The proportion and the materiality of the solid base give it the appearance of an infrastructural object that define the edge of the village and conceal the ambitious program of the house. 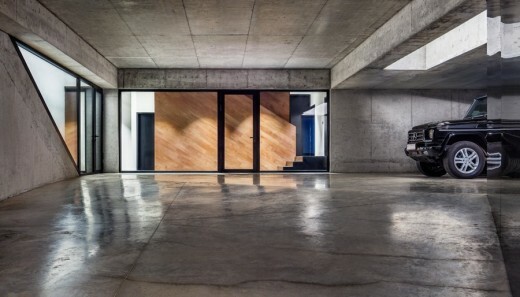 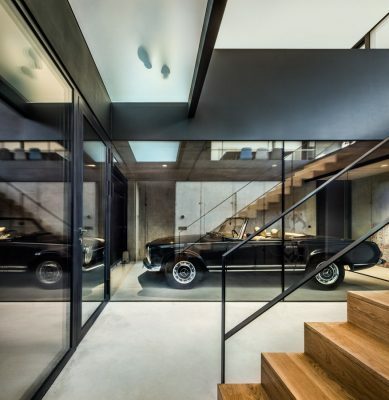 The only perforation leads to the cave like space of the entrance hall / garage. 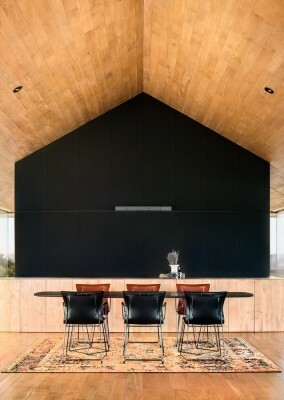 The materiality of the interior spaces is dominated by local species wood cladding, which balances the roughness of the entire structure and its surroundings.